THE BRITISH RAILWAY STORIES LTD: "THIS IS TUGS"
I thought I'd share a few of my photographs of the TUGS handover. It was a terrific day, sadly missing a few members of the planned Trust, but we more than made up for their absence later at the pub in the evening! Ten Cents was one of the first TUGS I laid eyes on, and I was genuinely happy to see him. 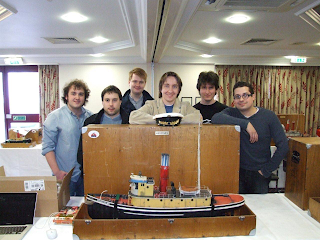 That warm, fuzzy glow of nostalgia truly is alive in the TUGS models, which have struck that chord and then some with the many people commenting favourably on their salvage. I thought this might be a decent shot. As you can see, the whistle has a face! A detail which completely passed me by for many years until I joined the Sodor Island Forums in 2008. Amazing model making, and a superb bit of good humour too! Sunshine doesn't look very happy! It turns out that the vast majority of the names are actually self adhesive stickers or transfers. They are extremely delicate, as it happens. "But I GOT to have garbage..."
Who is the mysterious tugboat? Boomer or Uncle? Both as it turns out! "You're clear Vienna, god speed!" "Yes, Mr Cuba sir...oh no..."
He has a moustache! How did I miss this for all these years?! Our "Thomas" connection - OJ the paddle steamer, also capable of being turned into Lakesider III! It was Sea Rogue after all! The detail on Zug's cabin is amazing - just look at that patch! Members of the Trust at the handover. Allen and Sir Ralph also get in on the proceedings later. 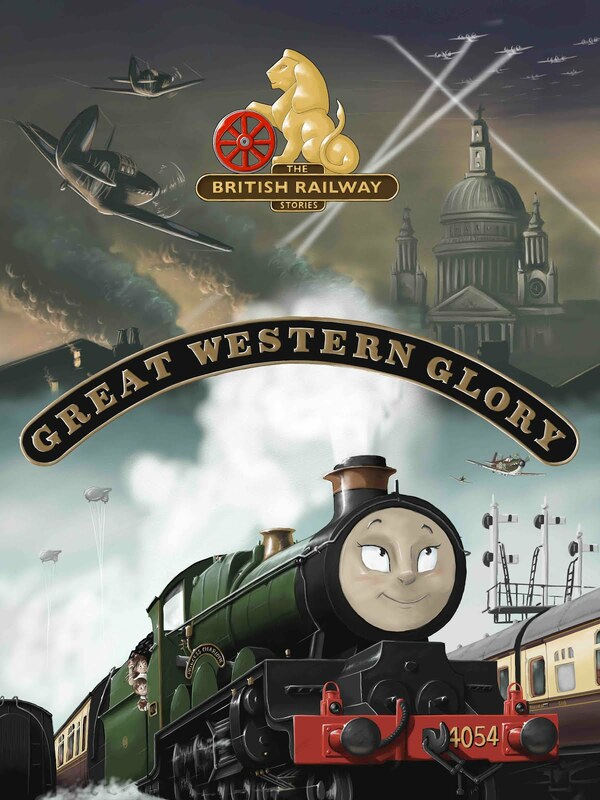 It's the least we could do for them: for without the efforts of The British Railway Stories Ltd, helping the overall bid from The Sodor Island Forums, none of this would have been possible. It also highlights just how big some of the models actually are...! Congratulations, Simon! The only question I have is: Where's Puffa? I know that Marklin, the unmentioned background shunter in Thomas & Friends, was used as Puffa in Tugs. Was he ever preserved? Puffa was last seen rather cut up in an episode of Thomas & Friends. He has of course, not been preserved I'm afraid. I see. So he was toast, eh? That's sad. I've seen a behind-the-scenes picture of him, and I liked him. I read that you are planning to make some replicas of the absent tugs. Are there any plans to make a replica of Puffa? No plans as yet, no. I think he will be a very long term plan, if we decide to do him at all. Well as im a fan of TUGS and a train fan i sorta wish Puffa would of been preserved its sad to see a historic model become a scrap cameo.